Take plane from Changshui Airport. It takes around 40mins. Upon arrival, visitors can take airport shuttle bus to reach Lantian Hotel in the downtown area. Bus fare is around CNY 20. It takes around 30 minutes. Then they can walk around 1 kilometer (1,100 yards) to reach there. Or they can take bus no. 27 and get off at Zhongyi Guangchang. If taking a taxi from Lijiang Airport, taxi fare should be around CNY 80 to 100. Take fast trains from Kunming Railway Station. It takes around 7 to 10 hours. Then change bus no. 16 to get off at Qixing Street Station, or bus no. 18 to White Dragon Square Station. It costs around CNY 40 by taxi. 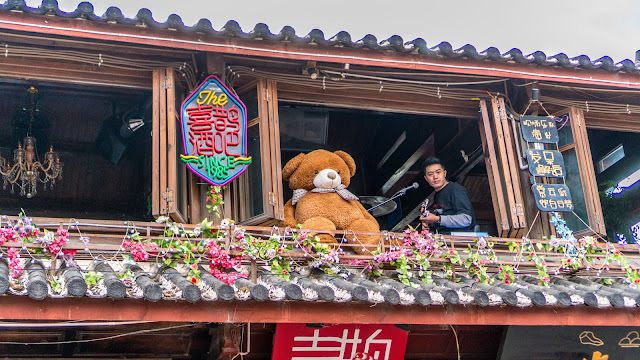 Take bus from Tourist Bus Station near the South Gate of Dali Ancient Town, Dali North Bus Station or Dali Express Bus Station to Lijiang Bus Station in the Lijiang Old Town. Take fast trains from Dali Railway Station. Train ticket prices are CNY 34 for a hard seat, CNY 69.5 for a hard sleeper and CNY 104. 5 for a soft sleeper. It takes around 1.5 to 2.5 hours. After arriving, use local public bus to reach the old town. 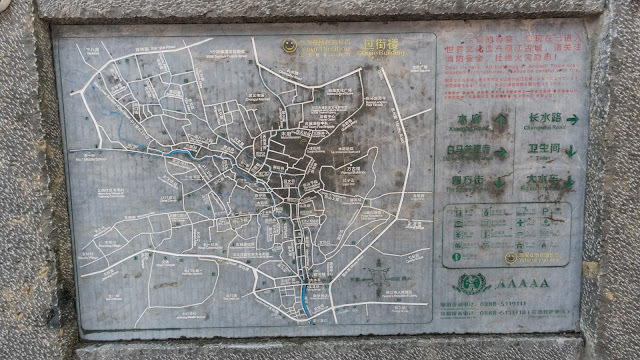 This is the map of Lijiang Old Town. You do not have to understand what is written on the map. Just look at the road. It is really complicated. It is unlike Dali Ancient City which is very systematic. You may get lost here at Lijiang Old Town. Can you see the drawings on the red color square? That's not drawings, that's not symbols and that's not some decoration. That's a language which is used by Naxi tribe at Lijiang. 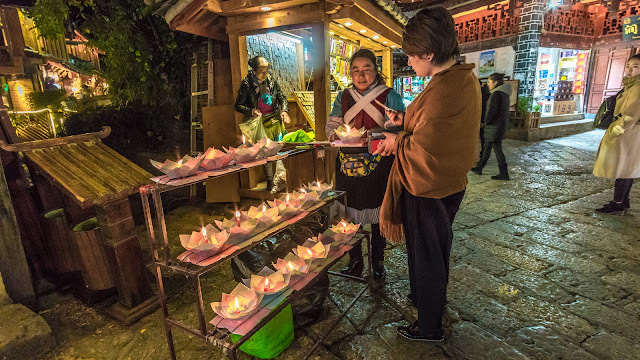 Naxi Tribe is the main tribe at Lijiang so you will see a lot of symbols look a like at every shops at Lijiang. 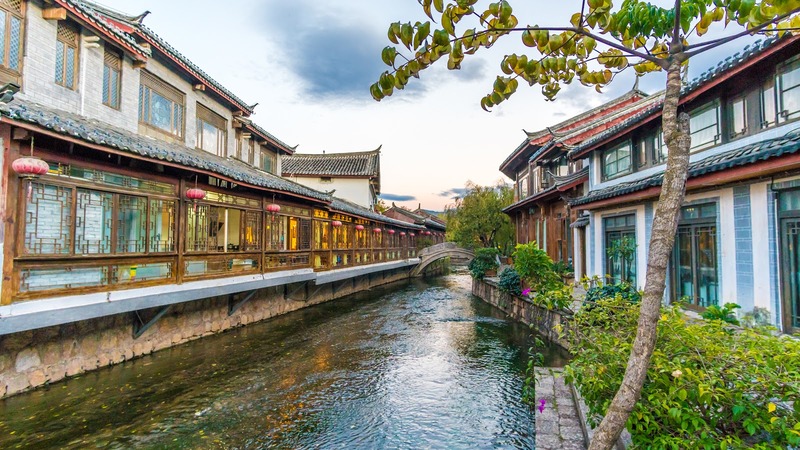 One of the beauty of the Lijiang Old Town is the river or stream which is flowing inside the town. The water is coming from Jade Dragon Mountain so the water is pure and chilling cold. Lijiang Old Town which occupies an area of three point eight square kilometers (912 acres) was firstly built in the late Song Dynasty (960 - 1279) and the early Yuan Dynasty (1271 - 1368) and has a history of more than 800 years. Since Kubla Khan who is the first emperor of the Yuan Dynasty set his reign here, Lijiang was on a fast developmental way and became the political, cultural, and educational center in this area, playing a very important role in the trading activities among Yunnan, China hinterland, Tibet, India and many other Asian countries. Till now, when walking on the streets of the Lijiang Old Town, one can feel the prosperity and flourish from the shops with fancy and superb collections of handicrafts. 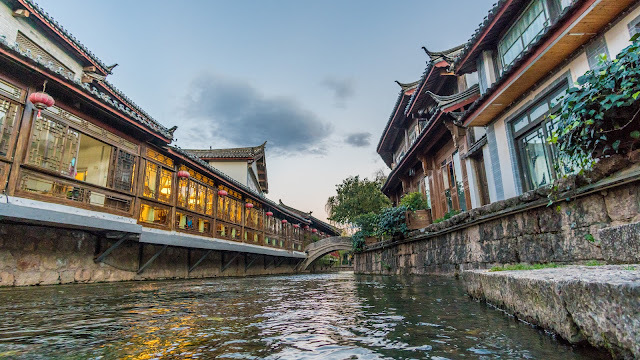 The Lijiang Old Town is built along the lie of mountains and the flow of rivers, providing a very precious sample of the research on the old-time architecture. The unique geographical location, historical background and multiracial inhabitants make it one of the most special. 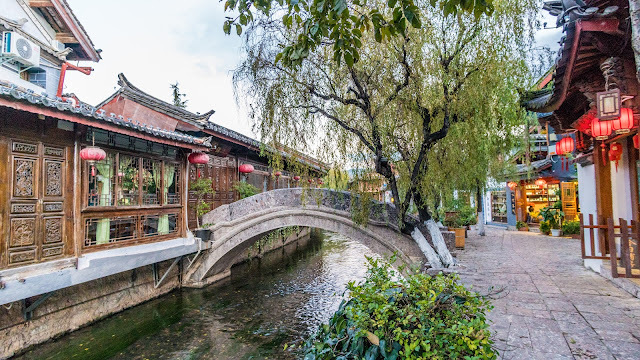 The Lijiang Old Town is the only old city built without a city wall and there is an interesting story telling the reason. 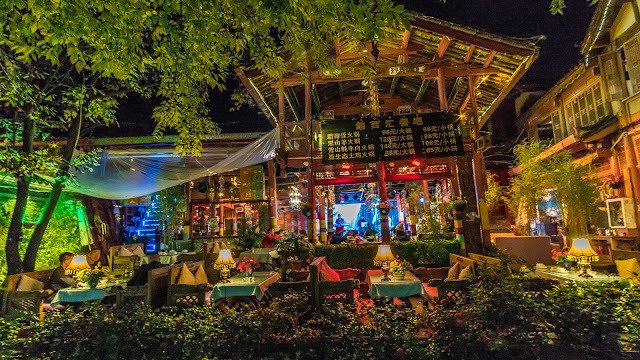 Lijiang had been under the reign of the hereditary Mu family for more than 500 years. 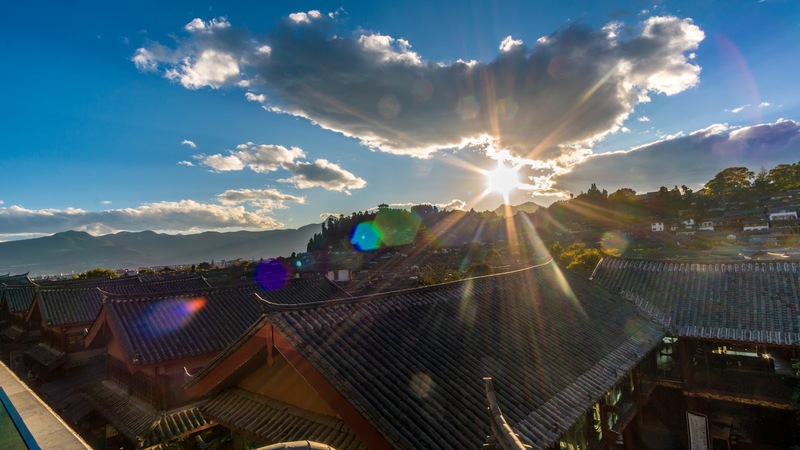 If the Chinese character 'Mu' (represents the governor of Lijiang) is put into a frame (represents the city wall), you have the character 'Kun' which means 'siege' or 'predicament'. This would mean that the governing Mu family and their descendants would always be trapped like a rat in a hole. 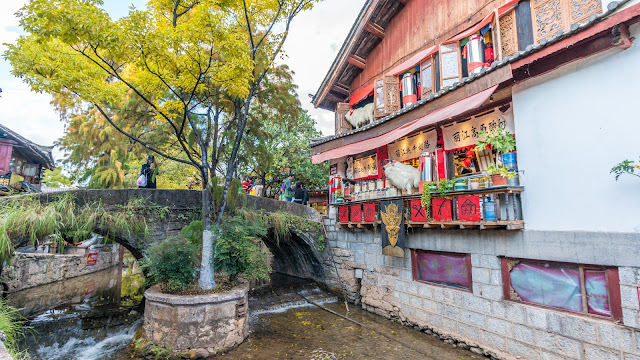 Because of this symbolism, the Lijiang Old Town was never given a city wall. As a result of the combination of the multinational culture and the progress of Naxi ethnic minority, the buildings here incorporate the best parts of the architectural traits of Han, Bai, and Tibet into a unique Naxi style. The layout of the town is free-style and flexible, the houses are close and diverse, and the lanes are narrow and meandering. Naxi people pay much attention to the decoration, the commodious and applied houses are mostly timber and tile structure compound with a garden, each has engraved vivid figures of people and animals on doors and windows, beautiful flowers and trees in the garden.Living in such a beautiful and comfortable environment is a real pleasant thing. There are many lantern boat like this selling along the river. People buy to write and say their prayers before let it off on the river. Not sure where it is all end up to but I am sure it is like a rubbish dump at the end of it. It is another kind of pollution on such a beautiful mother nature. I am against it and do not suggest you to buy such a thing. 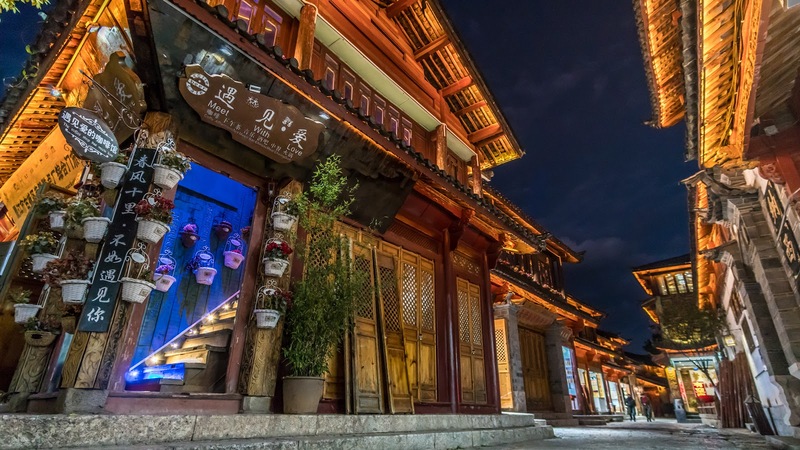 The center of Lijiang Old Town is the Square Street (Sifangjie). Four main streets radiate from Square Street and extend to the four different directions. Countless lanes extending in all directions form a network and connect every corner of the town. Streets are paved by the local bluestones which are neither muddy in the rainy season nor dusty in the dry season. The massive and fine-grained stones add a sense of antiquity and mystery. The sluice at the center is opened late in the night and the resulting current of water flushes and washes all the streets to keep the town clean. This practical use of water is part of the daily life of the residents in Lijang Old Town. 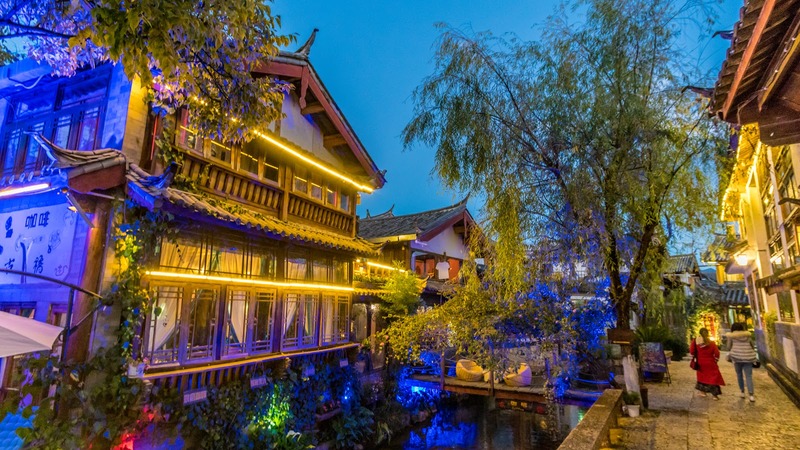 When the sun sets, it is another type of Lijiang Old Town in here. On December 3rd, 1997, the Old Town of Lijiang was put in the list of the World's Relics by the World Cultural Heritage Commission of the UNESCO (United Nations Educational, Scientific, and Cultural Organization). 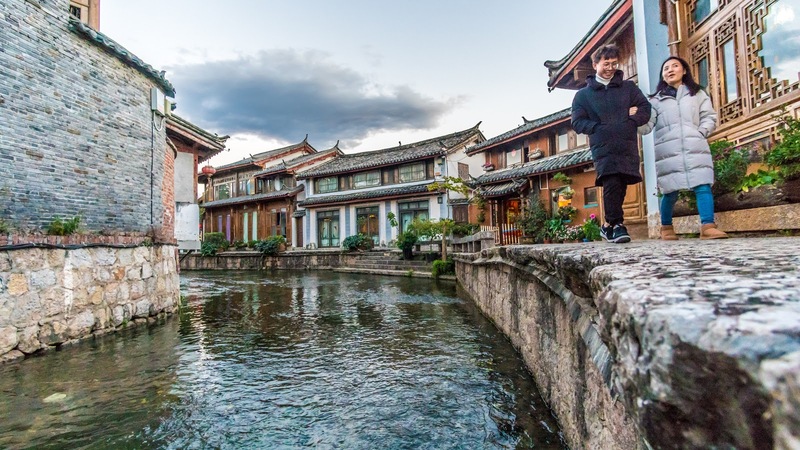 The charming Old Town is now a famous tourist attraction for its traditional ethnic culture and customs, inimitable buildings and the wonderful natural views. The old Town of Lijiang is a city depends on water for existence and water is just like its blood. Black Dragon Pool (Heilongtan) is its main water source and subdivides into many streams which can reach every family and every street there. Due to the reticular aqueducts, willow trees grow everywhere and there are almost 350 varied and inimitable bridges in the little town, some of which were built in the Ming (1368 - 1911) and Qing (1644 - 1911) Dynasties. The usage of the water created by the local people is very scientific. They build three mouths every well from the upriver to the downriver. The water in the first mouth is for edibility, the second one is for cleaning of the vegetables and fruits, and the last one is used to wash the clothes. The water not only meets the need of the dweller, but also gives the town a beauty of gentle. The Lijiang Old Townreputed as the 'Oriental Venice' and 'Suzhou in Highland', but it is much, much more than this. 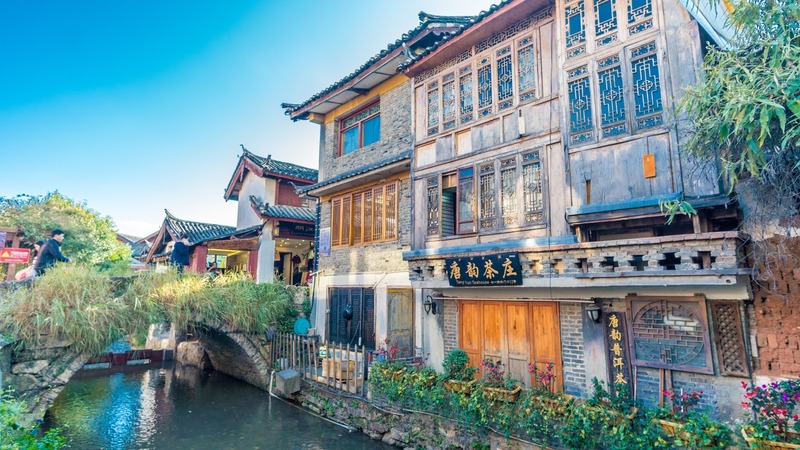 Once you have visited this Old Town, it will capture your heart for the rest of your life. 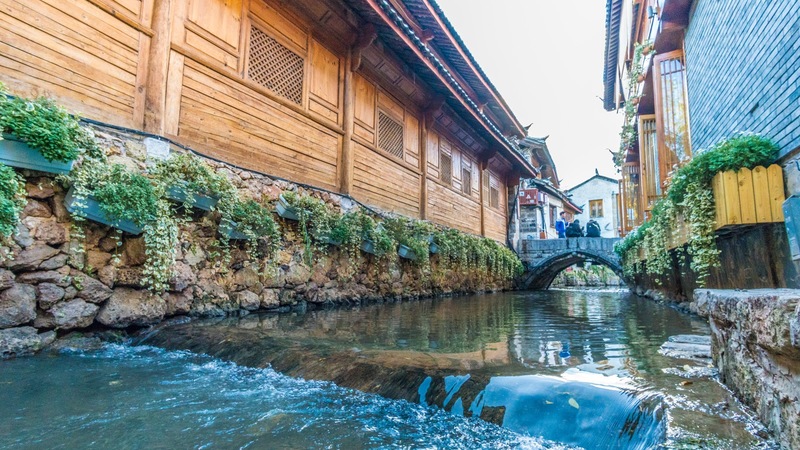 The two Giant Water Wheels is the landmark of Lijiang Old Town. Water Wheel, also called Kongming Wheel, is the most ancient irrigation tool in China. It is not only an excellent laboring skill created by the ancestors in the process of conquering the world but also a rare historical and cultural relic. It is said that during Emperor Ling of Han Dynasty Hua Lan created the embryonic form of the water wheel and improved by Kong Ming of the Three Kingdoms Period. During the Sui and Tang Dynasty, the water wheel was widely used to agricultural irrigation. Until today, it has a long history of more than 1700 years. 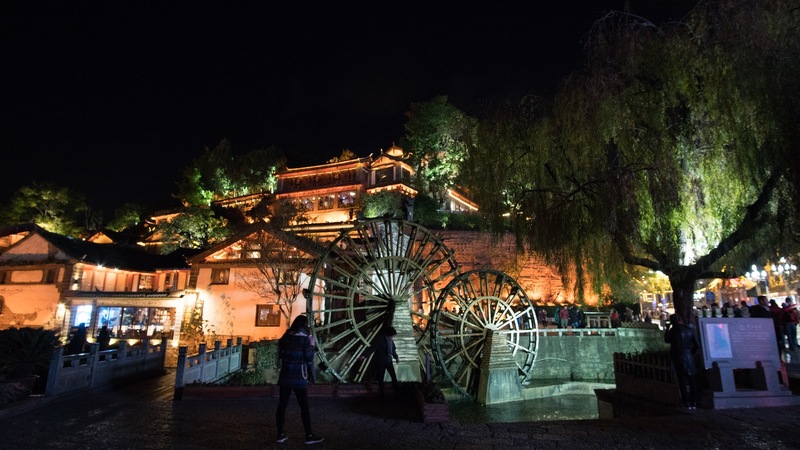 However, the Giant Water Wheels in Lijiang Ancient Town are just functioned as a landmark with ornamental value. 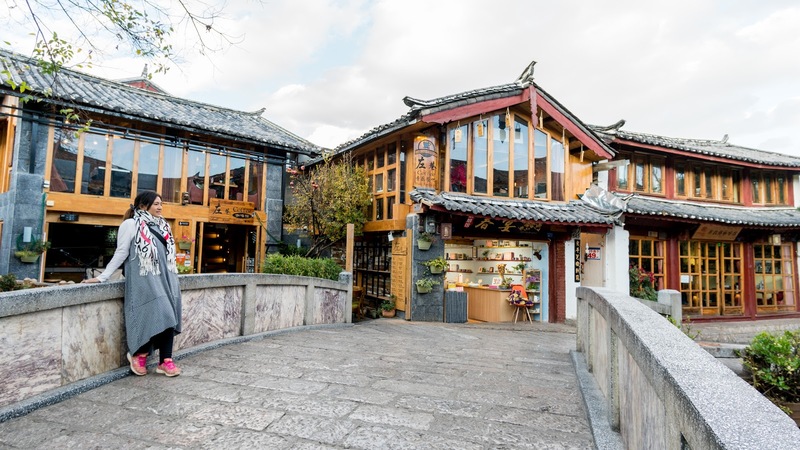 Most of the shops at Old Town Lijiang is similar like what you will see at Dali Ancient City even though they are managed by two different tribes. 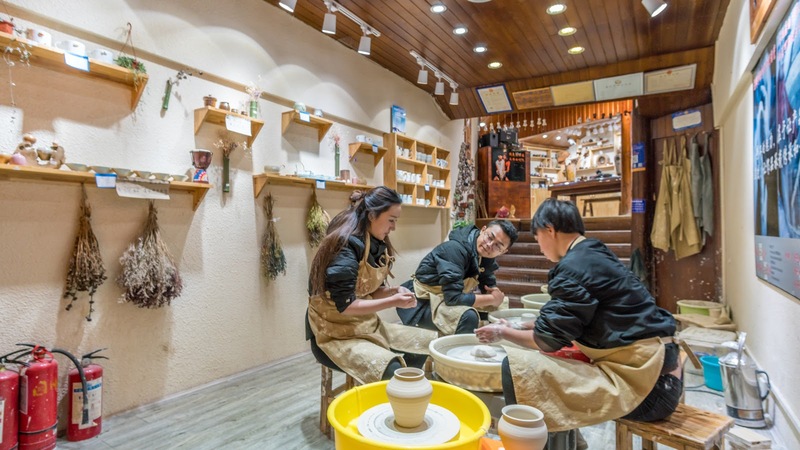 One thing I see it unique is this pottery shop which allows their customers to make their own pot. It is a great experience to be honest. Everyone should give it a try. 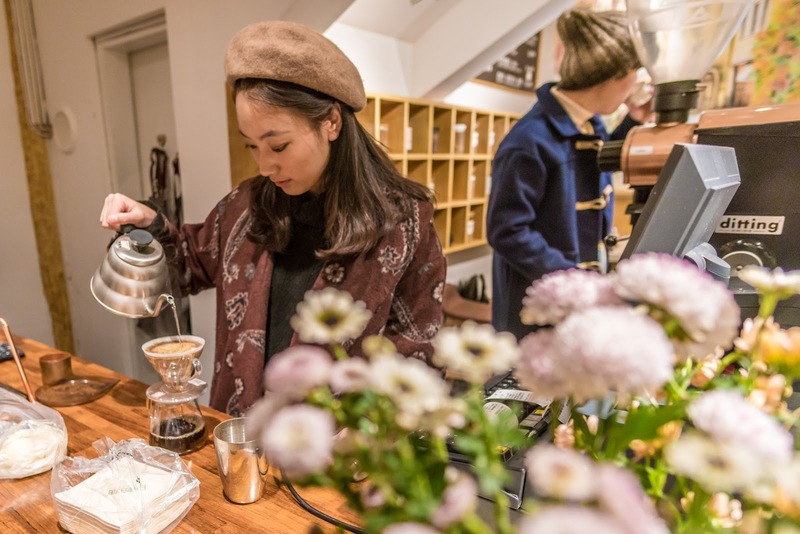 Yunnan not just famous with their Pu'er Tea and they are also famous with their Yunnan coffee. Yunnan produced the best coffee beans in the whole China. 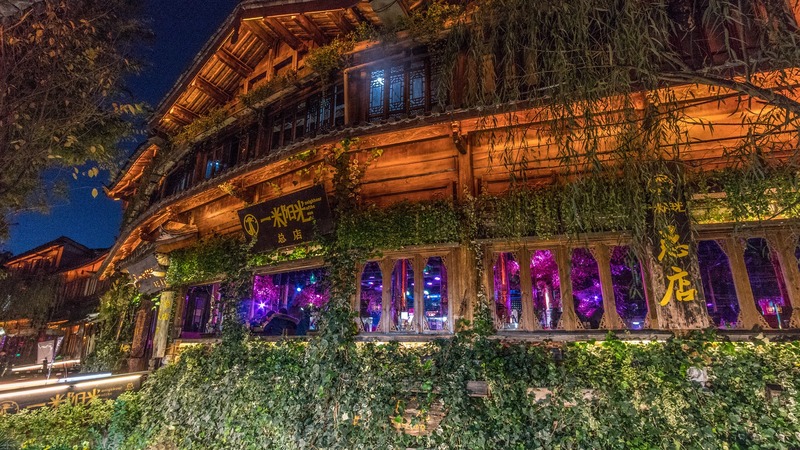 You should drop by to try their Yunnan coffee whenever you see a cafe like this. You will not regret it. I had one every morning in my Yunnan trip. It was really a good start up kit for my new day in Yunnan. Same like Dali Ancient City, live band is every where too at Lijiang Old Town. 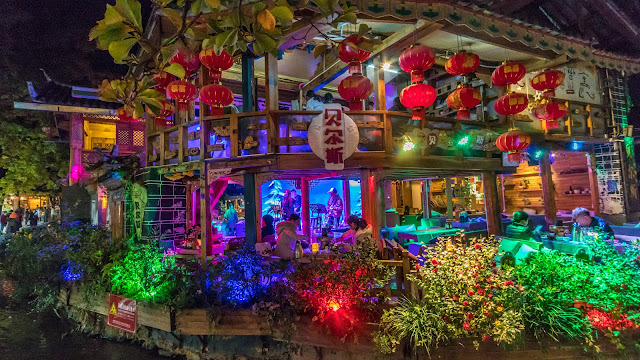 The only difference is the decoration of their bistro which they are trying to attract the tourists is amazing. You can check out the photos below. You should pick one of them to enjoy the local music. It is different type of experience by enjoying the local culture here through music. 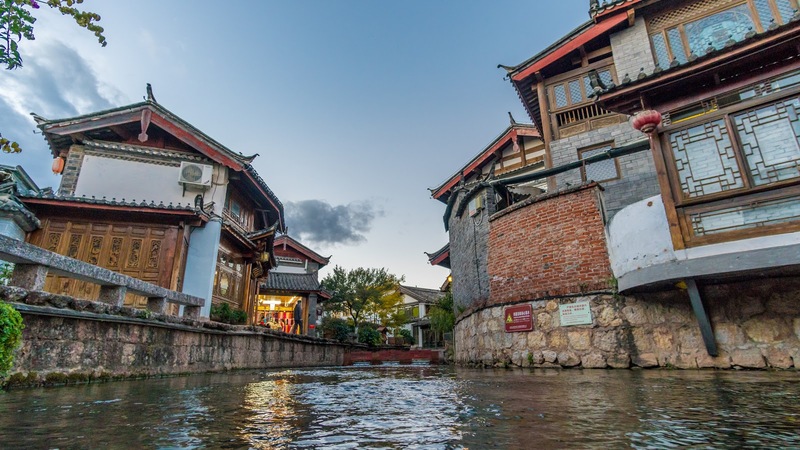 Overall, you may need one whole day to explore the entire maze-alike Lijiang Old Town. You may wasting time getting lost and walking at the same road again but it is still a priceless experience. 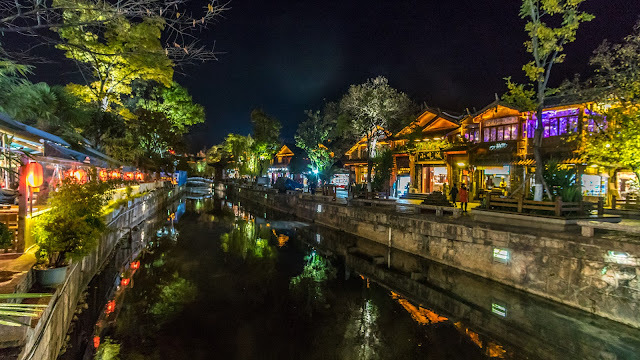 I fall in love with Lijiang Old Town when the first time I saw it. 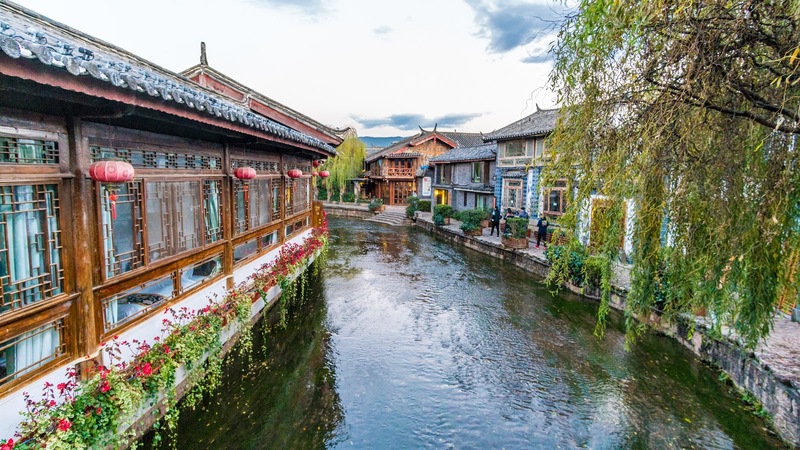 The only thing I do not like is Lijiang Old Town is much more crowded compare to Dali Ancient City and the price here is slightly more expensive too. For visitors in a tour group organized by travel agencies, they need to pay CNY 80 as the maintenance fare; for individual visitors, some hotels inside may charge the fare. They receive a receipt once they pay, which is checked when going to some attractions in Lijiang like Jade Spring Park and Baisha Mural. The fare can also be paid when it's checked on site.